We have translated selected parts of our site to english. We will try to keep it as up to date as the swedish version, but we do not have the time to run the complete site in two languages. Is there anything ypu wonder do not hesitate to mail us. 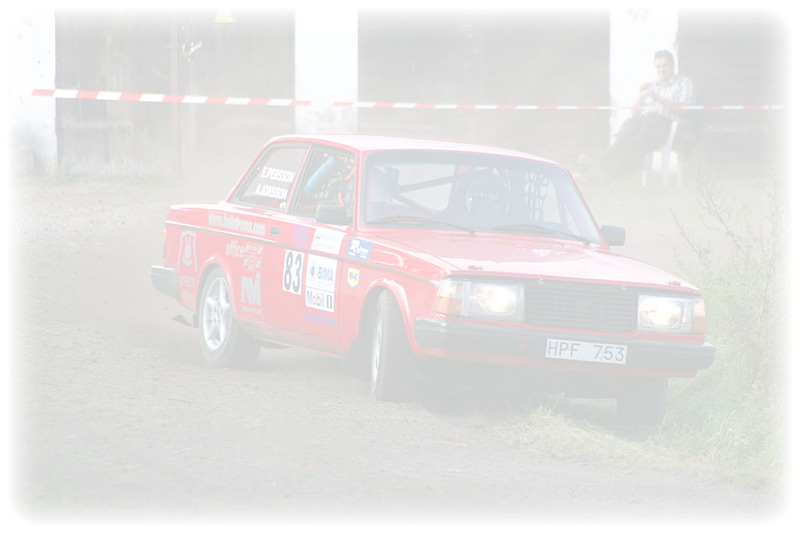 We run this local rallyteam in our own freetime andour own money. We have had some minor sponsorhelp. This site is pure for fun. We have no visions to be able to live on our hobby. Our car runs in a national class called group H and this class is a relatively open class. The modifications are free tuning, but not any type of turbo or supercharger. And the cylindervolume shuold also be unchanged. 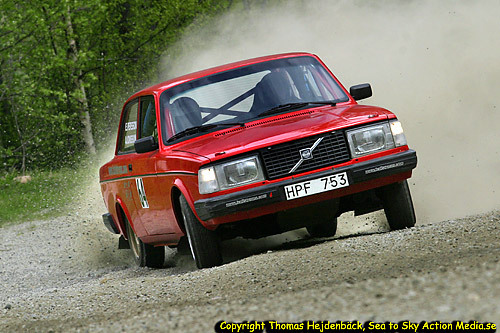 Popular cars are VW Golf, Opel Kadett, various Volvos and some other overaged group A cars. We have recieved pictures from Thomas Hejdenbäck from Seatoskyactionmedia and would like to thank him!